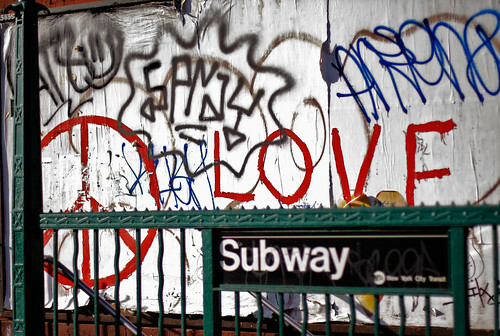 Our prolific photographer writes: “Peace and love graffiti at the entrance to the Nassau Ave. G train station along Norman Ave. in Greenpoint.” We could do a snarky dedication, but it’s really not necessary. They get it. And we don’t mean the MTA.